Online cheating is horrible in PC gaming. Especially when a company like EA tries to go cheap on the anti-cheat by doing it all in-house with a small team. Next gen consoles can't come soon enough and they better have mouse support. Yeah, that's kinda my point. He's better than most. And I shared a video of a former pro. (That's pending approval) Broken doesn't snap to that guy as well as him. And even if he did, it would not be unusual. You don't only become.a pro by having good aim. You could have killer aim bit if you don't have game sense to go with that aim, it doesn't mean anything competitively. I personally seen players myself that have better aim than some pros I watch in various games but they don't have the game sense that pros have. I saw a video of meyek a former bf4 pro , crank his sesensitivity up and snipe(something he had little experience doing) wreck avg and even more experienced pub players despite putting his aim at a disadvantage. Aim isn't everything. It's not the end all be all. You have to have a certain level of aim obviously but you don't need to be relaaa twitching all over the place to be good. Would that support extend to mice with 12 programmable buttons like my Logitech G700s? While I appreciate the sentiment, I do wonder whether it's a worthwhile trade-off - I rather like having my weapons, squad leader perks and Fortnite buttons on the mouse. The same applies to peripherals like the Razer gameboards. What makes this case all the more sweeter is that the guy has been at it from before BF3. He's always been pretty subtle, probably avoided detection until this moment. 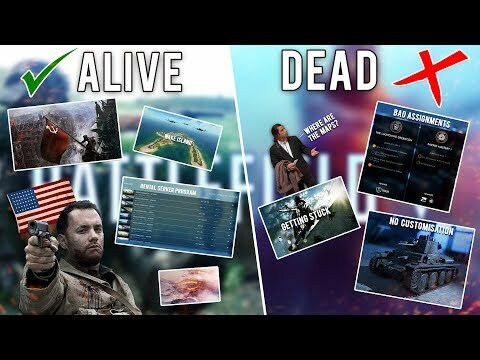 None of the stats from BF3, BF4, BF1 or BFV are conclusive by themselves, but they paint a pretty solid picture taken together. In BF4 he has clearly set the aimbot to score 65% bolt action headshot ratio, and in BF3 he was a bit greedier at around 75%. BFV takes the middle ground at 70%, which is clearly stellar, but not impossible. For some reason he toned it down in BF1 to target 50 percent (perhaps to account for the smaller head hitbox, iron sights and sweet spot). Automatics have been around 25% across all games for most weapons. In BFV the general headshot ratio is 25 percent, which is clearly top tier, but again, not impossible. Based on the BFV stats alone I would not have been ready to make this determination. However, he made a mistake in BF1 with his aimbot settings because they didn't handle the infantry variants intelligently enough. His top weapon is Lawrence of Arabia's SMLE, with 416 kills, 202 being headshots. That headshot ratio simply does not make sense on an iron sights weapon with an aggressive sweet spot. In comparison, Stodeh only has an 18 percent ratio on the weapon. But the conclusive evidence can be found on the MP-18 Trench and MG15 n.A. Low Weight, which have headshot ratios of 36% and 41%, respectively. I refuse to believe those would be legit numbers. For BF1, he stopped during March 2017, when the AC was getting some improvements. So perhaps he did get caught already there, but there's no way to know for sure. Or is there? How about it, @ChongFloyd? You asked for feedback, are you happy now? Or were you expecting people to come to defend you? I just love how all these cheaters make posts to proclaim their innocence and it blows up in their faces. True, but we all know FairFight isn't an effective anti-cheat and at best only catches blatant ragers using aimbots. I was more referring to DICE's in-house efforts at client-side protection. I don't see why not. Battlefield has many key binding options in-game. Plus consoles let you reassign controller buttons in the dashboard. And this was no run-of-the-mill casual cheater. Almost ten years of subtle cheating, probably felt entitled to having his edge. I must say, I haven't felt this good about FairFight in ages. This guy avoided Punkbuster and all community efforts, I couldn't find anything on him from BF3 or BF4. His stats weren't blatant. It would be interesting to know what did him in. Still, not as interesting as it would be to hear what he has to say. I'm not holding my breath though. Can I say it now? What the heck, let's go for it. "Straight up botting." I hope I got it right. The game is totally hacked. Ive been reporting these guys all time, but still see em playing after couple days. Well done EA & Origin. As a long time FPS player & Server hoster (Admin). I know what a cheating looks like. So sad that EA doesnt seem to see those cheaters. Just like Star Wars Battlefront, EA is not dealing with it. It's taking the proverbial now, recorded another 1 today in spectator mode, they don't give a **** because EA/DICE don't, every day there seems to be more, there needs to be kick vote if they insist on no 3rd party servers, yes there's a risk of misuse but it's better than nothing. Votekick or 3rd party servers would help alot yes. But it will result in much less sales if cheaters are dealt with. Money first, you know. Every game is hacked. But the sad thing is the lack of dealing with cheaters. In Star Wars Battlefront 2, they did not act upon reports or had a good anti-cheat in place. And unfortunately same thing is happening here now in BF V. I don't know why, but I suspect acting on cheaters will reduce sales a lot. The cost of dealing with cheaters is relative small, compared to the loss in sales. It's all about money these day, but this will backfire for sure. Already did. Looks like cheating is a problem of EPIC PROPORTIONS!! This thread has more interest than ANY OTHER THREAD in this forum! That should tell EA and Dice something. We're sick of being screwed by cheaters. Get off your lazy bums and do something about it. Don't quote me but I think last year PUBG had around 13 million bans out of 50 million copies sold. A very high percentage. I'm not usually one to get too angry about cheating in online games, it's usually just a small annoyance that doesn't detract too much from the game. 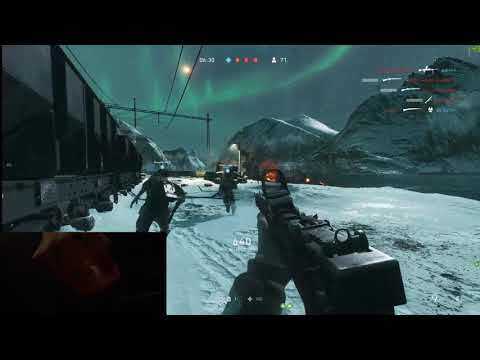 However in Battlefield V at the moment I'm finding the amount of obvious cheating extremely frustrating. Then there's the not so obvious cheating that certain players use to feel "skilled". It really makes me question why I bother with games like Battlefield. The most frustrating thing is the silence and lack of acknowledgement from EA that cheating is an issue. Lets take a look PUBG in comparison. When that game released cheating was rampant and I would go out on a limb here and say 25 - 50% worse . But the PUBG developer he came out publicly and admitted cheating was rampant and that eliminating it as much as possible was on of their highest priorities . They changed the report system so it is a simple in game 1 click on the players name ( instant ) You get a follow up stating if that player was banned or not within a week, I think you can see battle -eye report system while playing and who has been banned (hvnt played for a while cant remember ) they change how the anti-cheat worked. In conjunction on PUBG site you can upload videos of cheats as well as name and shame for mods to act on. .Around 1 million accounts received bans within 12 months , and just last month they targeted streamers and EA sports payers using a previous undetectable radar banning over 30 000 ( that nmb included general public as well ) . Thats how to deal with the issue , EA have a lot to learn. That is exactly the biggest problem with EA, they dont seem to want to invest even the smallest amount of money and effort to combat cheating so they act like its not there. They have some really easy to bypass AC (from what i have seen on youtube), a FF that cant be anywhere near active since the moust blatant cheaters can go on for month or forever destroying the fun for all the honest players without a ban, and a report system that is timeconsuming, clips of cheaters submitted are not being viewed and nothing more than a pc generic response that your report has been recived. Even in BF 4 they had punkbuster and fully working FF ,where you could register an account and actually follow up and see that the reported guy recived a ban. All the banned accounts and even suspected was out in the open for anyone to see. Its like its all about consoles now and the PC gamers are being screwed over and over again while the cheaters gets away with it. Its also fun to see how fast devs responds over at Reddit when here they are no where to be seen. This guy got a dev coment 4 hour after hes cheating thread was posted.